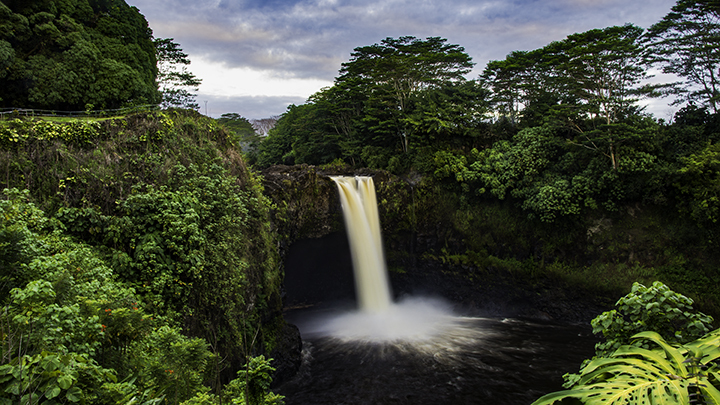 Rainbow Falls on the Big Island of Hawaii, a scenic spot for Hawaii photography tours. Hawaii is, without question, one of the most picturesque places in the world. It is this natural beauty that makes it ideal for photography tours. 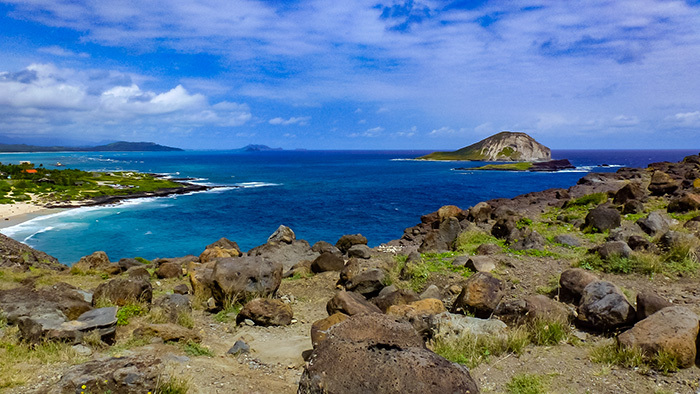 Each island offers unique opportunities, no matter the level of expertise, to take part in Hawaii photography tours. All of which have the potential to produce amazing images and memorable experiences. Professional photographers usually lead Hawaii photography tours. There are a variety of packages for photo enthusiasts and even for professionals. Here, you can learn more about photography, but take part in photo excursions in a variety of settings. They can include street, landscape, wildlife and even underwater photography. The tours are generally conducted for groups in order to keep the costs manageable. But if you desire a one-on-one experience with the tour guide, then expect to pay more. You can find photography tours on most of the major Hawaiian Islands. They range from $79 to $189 a day depending on the length of the tours and types of photos you are taking. There are also customized tours starting from around $436 daily. Well organized Hawaii photography tours begin by providing pre-tour lectures. They include helpful tips, recommendations and an overview of the day’s events. Going on a photography tour certainly helps to ensure faster access to the shots you would want to take. They also offer some insights on the best angles and light. But with some advanced planning, you can potentially do this on your own and save some money. Photography can be the sole purpose of your travel to Hawaii. Or you can spend just a portion of your Hawaii vacation on it. In choosing between tours, you should select one based on interests, location and available time. Obviously, Hawaii is a great place for landscape photographers. This is especially so in Hawaii’s two national parks. Hawaii Volcanoes National Parks is on the Big Island. While Haleakala National Park is on Maui. Hawaii Volcanoes National Park offers exciting opportunities to take images of a live erupting volcano and flowing lava. Taking photos of the volcano spewing lava, especially at night, can offer a rare occasion for taking spectacular images. Imagine images full of contrast against the luminance of the bright red and orange hues of the lava. Shooting at Haleakala’s summit at dawn is an ideal time to capture the rising sun above its majestic cloud line. Another place for sunrise photos is the top of Diamond Head, which you readily access from Waikiki. Hawaii affords many chances for creating long exposure images. This is because it has an abundance of water and clouds, which typically play an important aspect in such shots. Hawaii possesses numerous beaches, coastlines and waterfalls where you can compose long exposure shots of creamy water flows. Also, Hawaii generally has abundant cloud cover. As a result, your long exposure landscape images would not look like it’s missing an important background element. So if you can, bring a tripod with you, ideally one small enough to pack in a backpack or suitcase. Hopefully, it would also be one sturdy enough to hold your camera steady. You will have great opportunities to capture images of birds, particularly seabirds or rare endangered forest birds. There are great spots for taking picture of birds in Hawaii. One of them is at the Kilauea Lighthouse and Wildlife Refuge on Kauai. Another is at the Makapu’u Point Lighthouse Trail on Oahu. Hosmer Grove in Haleakala National Park on Maui is a great spot. While the Hakalau Forest National Wildlife Refuge on the Big Island of Hawaii is also popular place. Nature photographers can also take boat tours to take photos of migrating humpback whales from December to May. For street photographers, Downtown Honolulu offers interesting subject matter, especially in Chinatown. Here, you can find open air markets, filled with people from diverse ethnic, ages, cultural and economic backgrounds. Street photographers can also find compelling subjects to shoot in front of historic backgrounds in countryside towns. Such town include: Haleiwa on Oahu, Hana on Maui, Hilo on the Big Island and Hanalei on Kauai. If you’re a sports photographer, you can capture images of the world’s most prestigious surfing event. The Van Triple Crown of Surfing features 3 separate events during November through December on Oahu’s North Shore. Obviously, you would need a telephoto lens to take decent photos of this event. If you have a Go-Pro and can surf, you might be able to take great shots from within a tube. Some people may shy away from photography tours because they do not own a high end DSLR or mirrorless camera. Instead, they may be using a point-and-shoot camera or a smartphone. Of course, if you have access to a good camera and lenses, the tour options will be more varied. However, even a good smartphone camera can sometimes do a great job on a photo tour. So if you’re in this situation, select a tour that will take advantage of your smartphone’s capabilities. This would be especially true if you have one of the newer models. Such smartphones can take images in low light, have zoom capability or can even provide background blur or bokeh. Contact a a tour company for your options on Hawaii photography tours.